Our Local Connection Brings You Tips for Sightseeing Miami! Whether you are looking for things to do in Miami today or you are planning for your next Miami trip – this is the post for you. Miami is a dynamic city full of life and unique things to do. From South Beach in Miami Beach to Downtown Miami, there is lots of city sightseeing to be done with lots of Miami tours to choose from! There are also tons of places to go and things to do in Miami at night. We’ve been wanting to write a post about Miami for a long time. 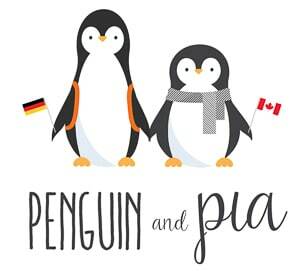 Unfortunately, our travels haven’t brought us back to the United States! Eric has been to Miami a few times but that was many years ago travelling with his family as a kid. His knowledge wouldn’t be up-to-date at all. So, we asked a local, Miss Blanco, to bring you her thoughts about exploring and sightseeing in Miami. As a Miami Area Native, she knows a thing or two about the city! She brings you a few of her local favourites from awesome rooftop bars to the best beaches and photo spots in Miami! So, take it away, Miss Blanco! If you plan on visiting multiple paid attractions, a Miami Pass can be a good option to save money. You can stay in Miami Beach – and that would be an amazing choice. If you are looking for places to stay in Miami, you will certainly not have a hard time finding one. That said, there are lots of different neighbourhoods and areas that are very different depending on the vibes you are seeking. These places also differ greatly by price – with beachfront locations generally being more expensive to stay at. To look for a place where you can leave the hotel and walk onto the beach, check for hotels deals in Miami Beach. If you want to stay closer to the mainland and in the heart of Miami, the city proper, then you can search for hotel deals in Miami. Wherever you end up staying in Miami, there is sure to something for you to do and see. This is where Miss Blanco comes in! 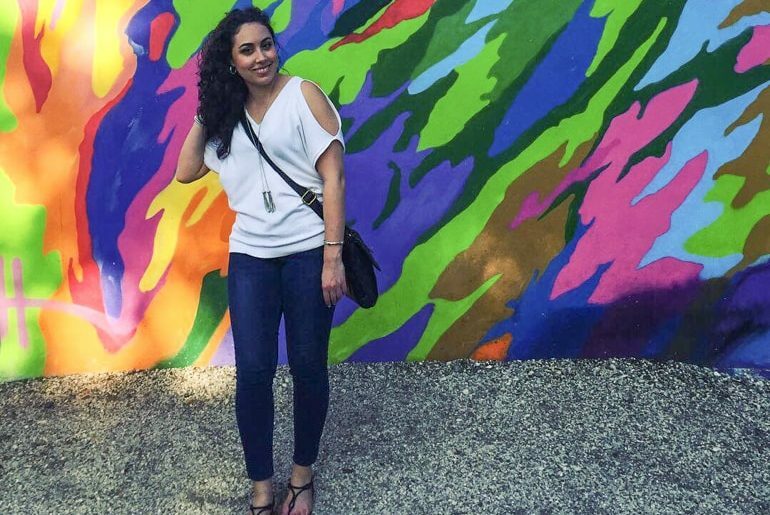 Our Local guide Miss Blanco at the Wynwood Walls. Keep calm, you’re in Miami! It doesn’t have to be summer in Miami for it to be the city that is known for its sandy beaches, refreshing cocktails, and exotic people. Year-round, the magic city is a paradise for those who live and vacation in South Florida. Whether you’re looking for an exciting nightlife scene, an all-out culinary adventure, or just an escape from the usual routine, Miami offers a great selection. For starters, there is something for everyone in Miami; families, couples, snowbirds – you name it! If you’re looking to shop till you drop, swing by Miami International Mall, Dolphin Mall, Lincoln Road Mall, and Miracle Mile. Some of these locations offer the best deals you’ll find at outlet stores and the nicest pedestrian-friendly areas to shop, walk, and enjoy the sunshine! Exploring the USA? – San Francisco Tips, Washington D.C Attractions, and Boston Sights Await! 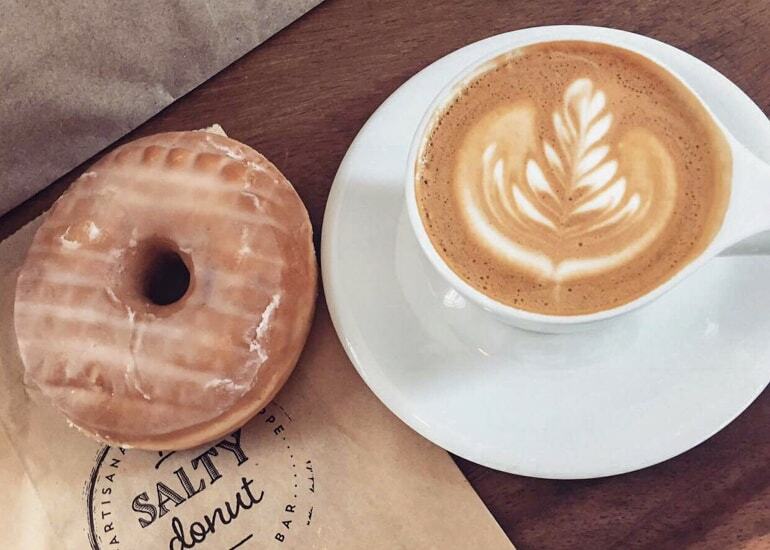 The famous Salty Donut at Salty Donut! Need a break from shopping? Sip on some fancy cocktails and munch on some delicious appetizers at the dozens of restaurants and bars found along Lincoln Road Mall, and even stop by a rooftop bar, such as Sugar in Brickell. Trust me when I say the view up there is straight out of a postcard! If a taste of the spice of Miami is on your list, make a trip down Calle Ocho or be sure to drink a cafecito at the famed Versailles Restaurant. And how can I forget, the Salty Donut, my favorite spot in Miami to get my sweet on! There’s an endless list of things to do in Miami. Those looking to add some flair to their Instagram, stop by the historic city of Coral Gables for some jaw-dropping shots and satisfy your inner model at South Beach, where you’ll find some exotic cars to add to your backdrop. Don’t forget about Wynwood Walls, where you’ll find some of the most inspiring artwork and hip breweries in all of Miami. When it’s time to put on your dancing shoes, local spots, such as Ball and Chain, offer the music that makes you salsa dance the night away after enjoying a refreshing mojito. Looking for a different rhythm? STORY Nightclub in Miami Beach and LIV Nightclub at the legendary Fontainebleau Miami Beach Hotel, are some of the hottest spots in town to turn the night into something special. The gorgeous sun from your balcony room. Now, I like to save the best for last. You can’t leave Miami without taking the time out of your sightseeing to hit the beach… or better yet, STAY at the beach. From the Classic South Pointe Beach to North Miami Beach and Surfside Beach – there’s nothing quite like it. Imagine waking up at the Nautilus South Beach Hotel on Collins Avenue to a jaw-dropping sunrise in your ocean view room with a balcony. The dew of the morning still on the windows – forcing you to get out of bed. You walk out to your balcony to admire the beauty of waking up in paradise. You can rest assured that Miami is unlike any other city you’ve visited. I call Miami home, but those that come to visit always leave with a piece of Miami. The culture, the music, the food, the people – Miami is truly a magical city! And there you have it – a locals perspective on what to do and see in Miami. A huge shoutout to Miss Blanco for her sharing her knowledge! Are you heading to Miami any time soon? Get in touch and let us know what you get up to. We’d love to hear about it to plan out next trip, as well!